Update: Results are now official. Great winning weekend for the team! The unofficial results for the Odyssey Fall Finale 24 hr adventure race has the two Teamhalfwaythere.com teams tied for first! 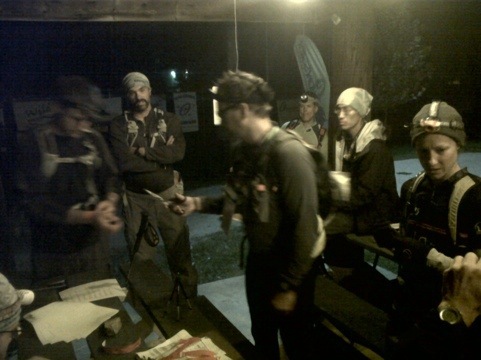 After spending most of the race within 10 minutes of each the teams decided to link up and proceeded to get all but one point on the night O-course. The came off the mountain together and finished at the same time. No other team got as many checkpoints so once the results are official we can put a win in the book or the Teamhalfwaythere.com 7-headed monster. Thanks to Ronny and his crew for putting on a great race and many thanks to our sponsors, especially Spokes Etc. Alexandria for their support.